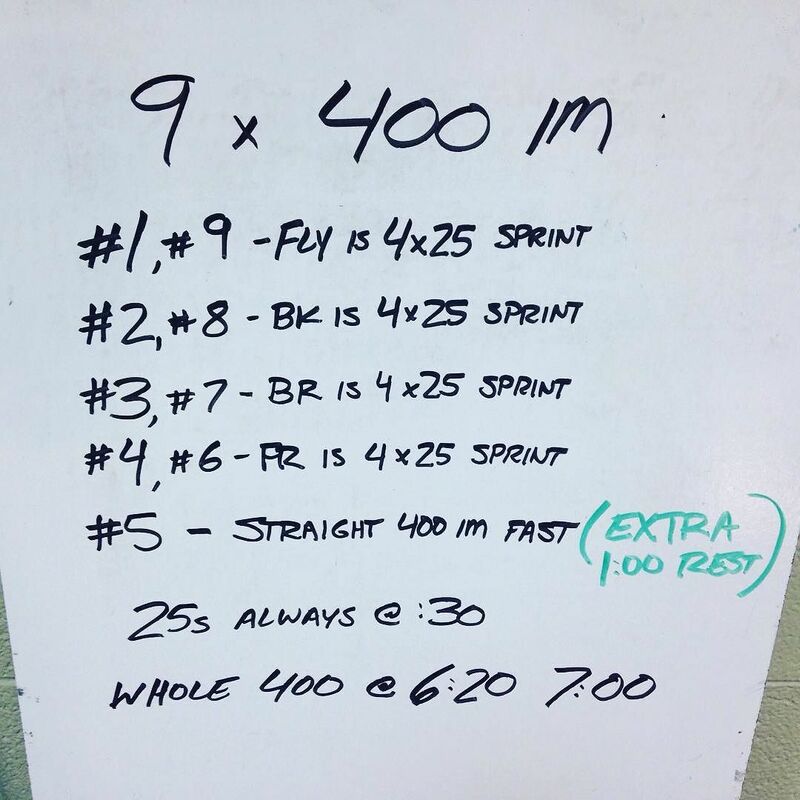 On all 400s but #5, one of the strokes was swim as 4 X 25 on :30. This set went well for us. Taking a few times and tempos on the 25s helped us keep the effort honest and fast. Previous Post Fly set with fins.